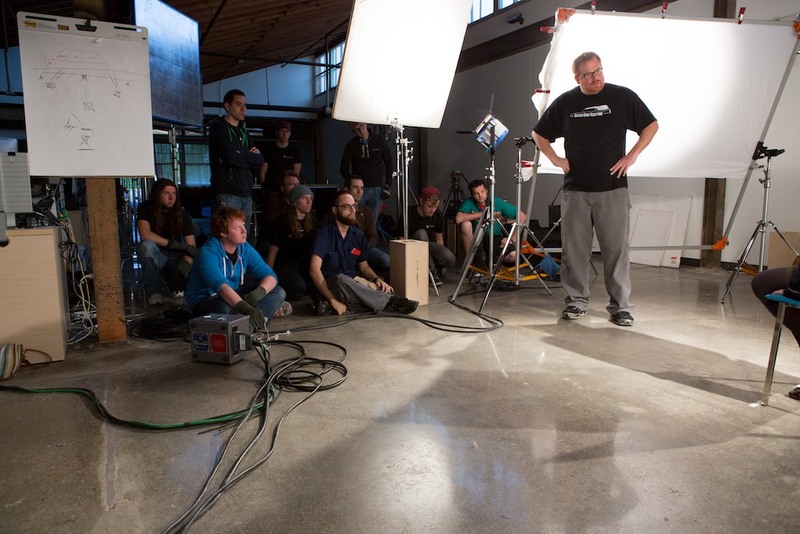 On April 27, 28, 29th DGE held it’s first Grip & Lighting workshop for eleven students. It was a fantastic weekend that started with a solid foundation of craft and then moved on to the art and philosophy of lighting. Students learn how to put a silk on a 6×6 frame. Guest Instructor Ben Drickey was a welcome addition to the class. Ben brought with him a wealth of experience and even loaned his RED EPIC as a teaching tool. The students received a primer on the camera and also were able to shoot 2 scenes to get a sense of what the camera is capable of. 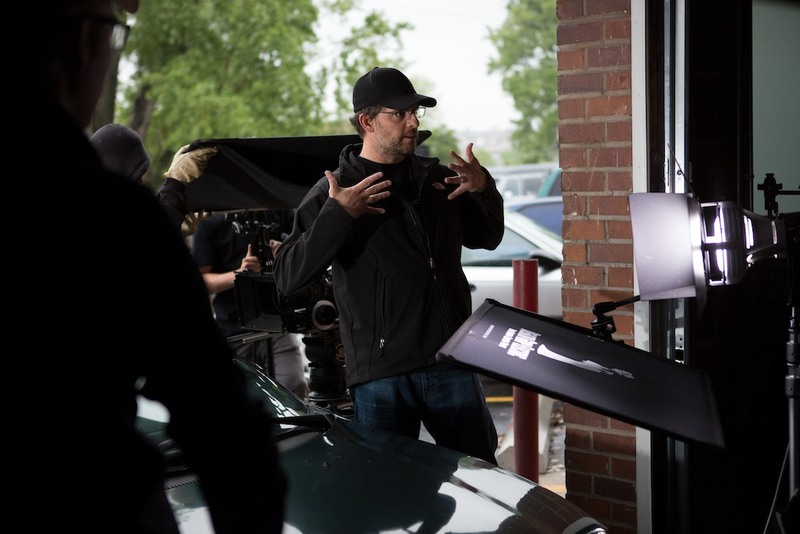 Ben Drickey’s enthusiasm was palpable as he discussed using the EPIC while lighting a daytime car interior. I learned a great deal from the students and was excited at their enthusiasm and curiosity. Tons of great questions were asked and everyone was fully engaged. One of the most exciting moments for me was when we broke the class into 2 teams and they went off and lit their own interviews. Both teams delivered excellent results and I could see that they were taking what they were learning in the class and applying it immediately to what they were doing. Not only that but they had reasons for the choices they were making and that’s such a crucial part of what we do as gaffers and cinematographers. 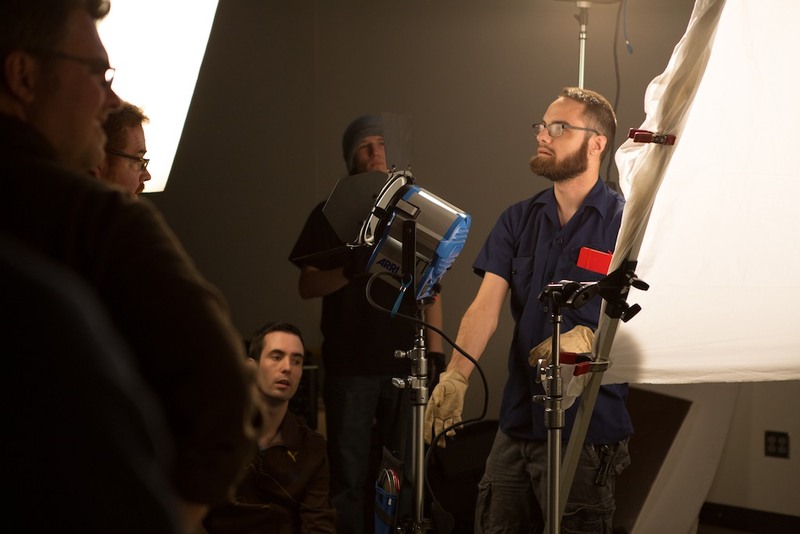 Student Mike Machian contemplates the effect of bouncing a 1K fresnel off bead board to introduce a little fill light. One of the more advanced setups the class did was a beauty light with a model. As a class we wrote up a quick diagram and then students got to work acting as the crew. Everything was meant to be as hands on as possible and this particular exercise was great because we used several lights and lots of grip equipment. 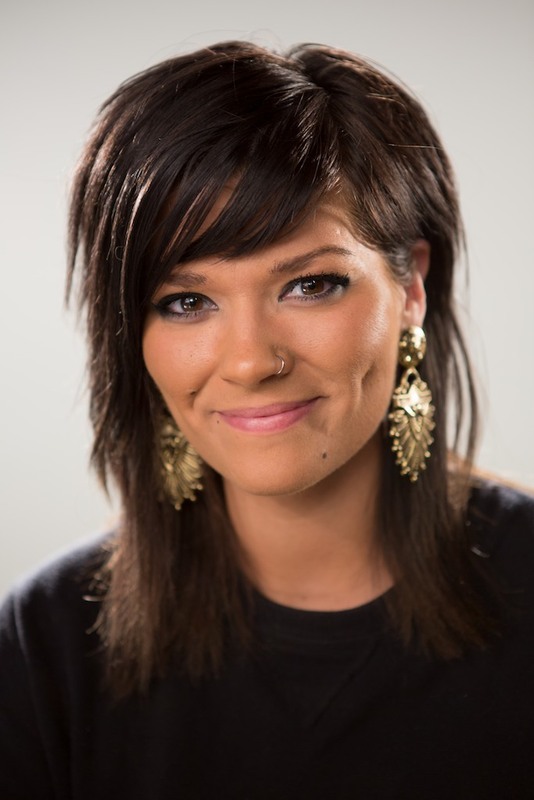 Thank you to our model Liz Hunt for her patience and great attitude. It’s not an easy thing to sit for 2 hours while a bunch of crew people are constantly staring at your face to see what the lighting is doing! The class studies the subject in our beauty lighting exercise. The results of a beauty setup with Liz Hunt. The final exercise of the weekend was a class favorite. We called in director Jonathan Tvrdik to come up with a quick scene for the class to shoot. He took things a step further by producing storyboards on the spot to further communicate his vision. Then we assigned crew positions to all of the students. The scene was a night car interior/exterior. Jon worked with the student cinematographer who in turn worked with the crew to create a mood for the piece. The team used the EPIC to shoot the scene and myself and Ben Drickey guided the students with their choices so they could get the most out of the exercise. It was a great way to end the weekend. There was a ton of excitement and it felt just like being on a real set because we had time constraints and weather to deal with! Director Jonathan Tvrdik and student Dave Weiss discuss the details of the final class exercise. From running distro to setting stands to skinning frames and creating soft, beautiful light the Death Grip Electric Basic Grip & Lighting Workshop was an informative and fun way to spend the weekend. If you are interested in learning how to light please email me: michael@deathgripelectric.com. Death Grip is already planning it’s next workshop. Thanks to the students and everyone who participated! PS – All photo’s courtesy of Marc Longbrake Photography. ~ by Michael Lang on May 30, 2012. This entry was posted on May 30, 2012 at 3:48 pm and is filed under Workshops.You can follow any responses to this entry through the RSS 2.0 feed.You can leave a response, or trackback from your own site.